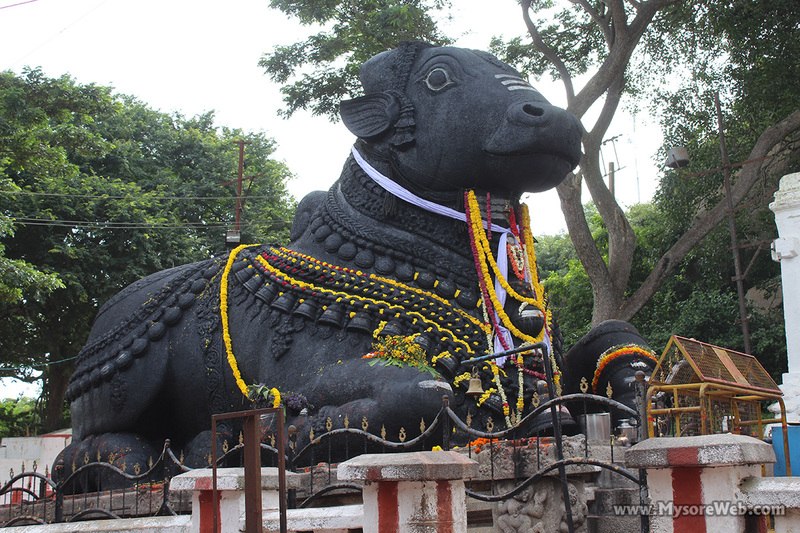 If you are a tourist to Mysore, your tour is incomplete without a visit to the sacred Chamundi hills. Also known as Chamundi Betta (Betta means a hill in Kannada), the hill is not only popular among the tourists but also with the locals. They come to this hill both for worship and recreation purpose. As an ardent devotee of Goddess Chamundeshwari whose temple is at the summit of the hill, I decided to start this blog by writing about it. This is a second post of MysoreWeb.com, the first being the introduction post. I drove alone to the hill at about 7 am. While driving on the ring road, the hill covered with a mist presented a beautiful view of it. 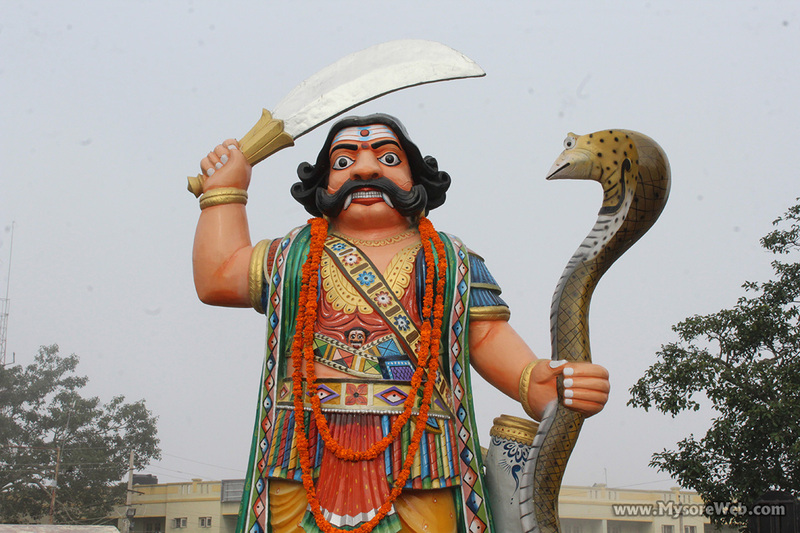 Less than half an hour, I was in front of the Mahishasura statue taking photographs. It was surprising that at 7.30 am, there was no space for car parking near the statue. I somehow managed to get a space for my car near the restrooms. Being an Ashada month, the Hindu temple witnesses more devotees. 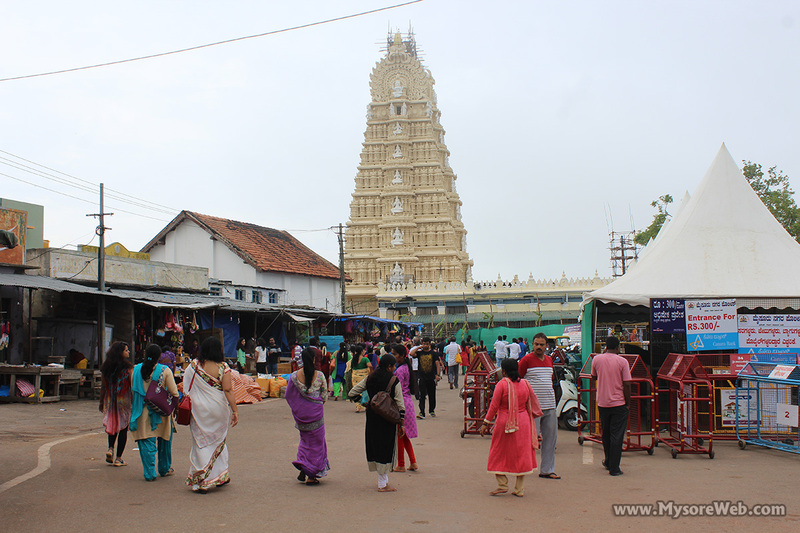 The Chamundeshwari temple was of course had a lengthy line. If you are planning to visit this temple, start early. 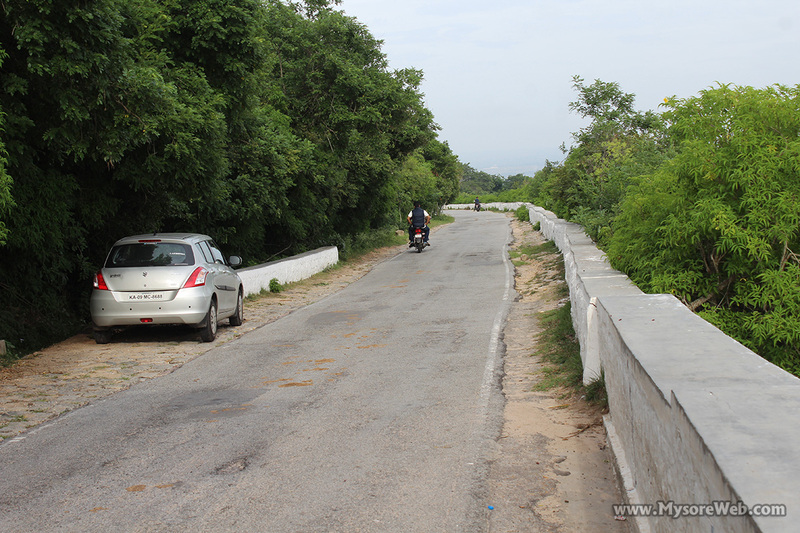 While I reached the hill from Uttanahalli road, I descended from the Nandi road. This road is very steep and requires more caution while ascending or descending. There were fewer devotees near the Sacred Bull. However, I could see morning joggers in large numbers and few climbing the stairs. There were so many cyclists also. If you wish to peddle to the Chamundi hill, you are going to have fun. You can hire a geared bicycle at the foothills. Thanks to Tring-Tring.